(Nov 6): Prince Turki bin Abdullah, co-founder of Petrosaudi, the company that is embroiled in the 1Malaysia Development Bhd scandal, was among the 11 princes arrested in anti-corruption raids in Saudi Arabia on Saturday. 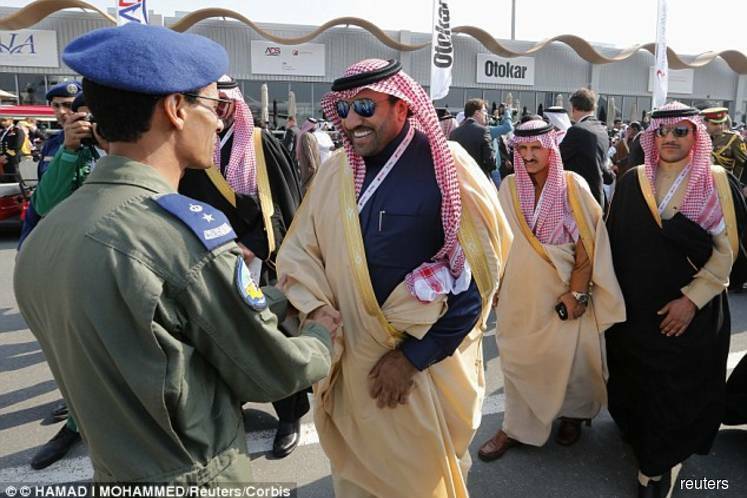 Reuters had named Prince Turki bin Abdullah, the former governor of Riyadh province, as among those arrested. "A Saudi official said former Riyadh Governor Prince Turki bin Abdullah was detained on accusations of corruption in the Riyadh Metro project and taking advantage of his influence to award contracts to his own companies," Reuters reported. Prince Turki bin Abdullah, the seventh son of Saudi Arabia's late King Abdullah was appointed governor of Riyadh Province on May 14, 2014. He was removed as governor following the death of King Abdullah on Jan 23, 2015. According to www.ft.com, PetroSaudi was founded in 2005 as a private oil company by Prince Turki bin Abdullah bin Abdel Aziz and his business partner Tarek Obaid, a former banker. The company grew from drilling and oilfield management into trading, opening offices in London’s Mayfair district that have pictures of Saudi royalty and are decked with national flags. "At the heart of the 1MDB-PetroSaudi relationship is a 2009 agreement for the Malaysian fund to invest US$1bn in a joint venture in exchange for the Saudi company bringing in mineral extraction concessions in Turkmenistan and Argentina allegedly valued at US$2.7bn, according to the US complaint. "Some 1MDB officials and others then allegedly arranged for the fund’s share of the money to be fraudulently transferred to a Swiss bank account controlled by a young Malaysian businessman and impresario named Jho Low. The DoJ court filing claims Mr Low laundered more than US$400m into the US, using at least US$106.7m to acquire a stake in EMI Music Publishing Group North America Holdings Inc, the world’s third-largest music publishing company," the Financial Times website reported.